We don’t just make apps for our clients, sometimes we make them for ourselves ! Below is our list of recently published apps. Interested in creating a cross platform app that runs on Apple, Android, and Window’s phones? Check out our Mobile Device Apps page! 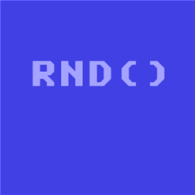 RND ( ) is a random number generator for Windows Phone 7 or higher. Just indicate the range you would like the random number to fall within and click Generate. You can generate 1, 10, or 100 numbers at a time. And you can even choose for the generated random numbers not to repeat. Check it out at the Windows Store, it is randomly delicious!